The MOTA Black Magic Skate Package represents the BEST in premium derby skate components all in one factory assembled package! Simply select which MOJO boot you want (Silver or Carbon), your boot size and wheel option. 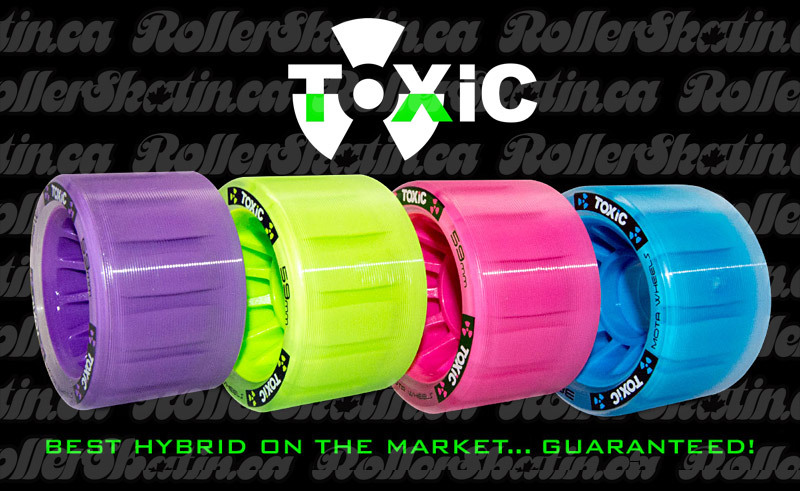 Choose from any Mota Hybrid Grip or Roll wheel OR upgrade to Mota TKO Wheels AND for no additional charge choose from standard 8mm threaded trucks OR quick wheel change flip clip axles AND your choice of cushions/bushings! NEW: FLEXIBLE AND MOLDABLE ARCHES TO ACCOMMODATE NEARLY ANY TYPE OF FOOT. NEW: OPEN TOE BOX TO ACCOMMODATE WIDER FEET AS WELL AS ALLOWS NARROW FEET TO FIT MORE SNUG. THE NEW FEATURES ABOVE ALLOW FOR IMPROVED EDGES, INCREASED FEEL FOR BETTER OVERALL PERFORMANCE. ALSO ALLOWS THE UPPER TO WRAP YOUR FOOT EVEN BETTER THAN BEFORE! Mota Mojo Stock Carbon Boot Factory Direct! 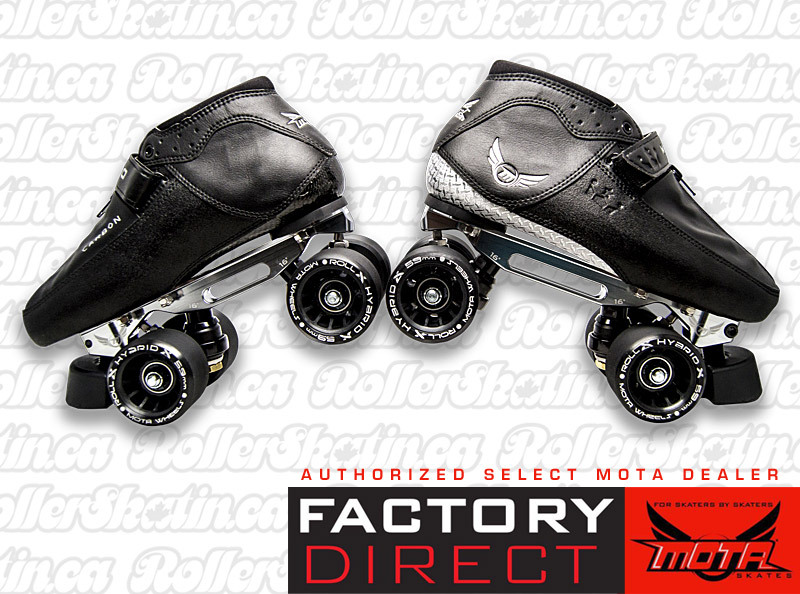 Mota Mojo Stock Hybrid Silver Boot Factory Direct!